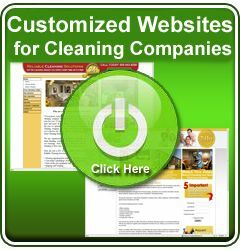 Cleaning companies provide a valuable service to the community, and the online reputation of your business should reflect this value. Do you know what clients are saying about you on review sites and social media? Are local news outlets, bloggers or networking buddies talking about your brand? If you don’t know the answers to these questions, it’s time to start paying attention. You don’t want to wait until a reputation disaster strikes to establish a reputation management strategy. People are having conversations about your business right now, and a proactive approach to monitoring your brand image and responding to feedback is essential to preserve a positive image for your cleaning company. Today’s consumers use the Internet to research products and services before making final purchase decisions. Social media, blogs, news stories and review sites buzz with opinions about businesses, including service providers. No matter the size of your cleaning company, chances are someone is talking about you somewhere in the endless chatter. These statistics suggest reviews should be a key part of your cleaning company’s marketing strategy. Claiming your business listing on these sites allows you to monitor review activity as it happens. If this seems overwhelming, a service like More Reviews Now can help you keep track of it all. The service not only “listens” to review chatter for you but also handles the review gathering and posting process across multiple platforms. From the dashboard, you can track feedback activity on review sites, making it easier to know the image your online reputation projects to potential clients. Since between 23 and 44 percent of customers read reviews on a variety of sites, including Facebook, Twitter and company websites, it’s important to establish profiles on the most prominent platforms and screen reviews when they come in. In addition to review sites, pay attention to what’s being said about your company on social media and other social outlets such as blogs. Set up Google Alerts for your brand and keywords relevant to the services you offer. Social media management platforms, including HootSuite and TweetDeck, allow you to create custom search streams based on keywords and hashtags. Comment monitoring on your own blog and third-party sites is another important part of managing your online reputation. If you receive an alert showing your company was mentioned on another site, check out the post and comment on it to get an inside look at the ongoing conversation. Keep in mind not all bad publicity is bad for your company. Sixty-eight percent of consumers consider businesses with a mixture of positive and negative feedback to be more trustworthy than those with spotless track records. Let your cleaning clients know your company is listed on review sites and has profiles on social media, and encourage them to leave feedback. While you can’t offer incentives in exchange for reviews, it’s not uncommon to send a follow-up message asking for an opinion on the service you provided. Seventy-two percent of customers act in response to positive reviews, so collecting feedback is an important part of your reputation management plan. If you use MoreReviewsNow, you can request feedback from customers after providing service and set it to automatically post to the testimonials page of your company website. If they happen to leave negative feedback, there is a process for intercepting that review so you can contact the client immediately to remedy the situation. Come up with appropriate responses to these possible complaints so that you can respond quickly if someone brings one of them up in a review. If your reply is timely, favorable and offers a reasonable solution, you have the potential to bring back 95 percent of customers who report negative experiences. Even with a reputation management plan in place, you can’t always anticipate clients’ complaints. Read all the reviews you receive, and use this feedback to improve your services. When cleaning companies listen to customers, it shows consideration for their needs and a willingness to make changes as necessary. If you discover several reviews with similar feedback relating to a particular part of your service, you may want to consider creating a marketing campaign to show how you’re improving that aspect of your business. Make an offer to clients who mentioned the problem in their reviews to re-establish trust and encourage them to become repeat customers. Just make sure you have the problem solved with a workable system for your staff to follow. Online reputation management is an ongoing process involving time, attention to detail and dedication to excellence. 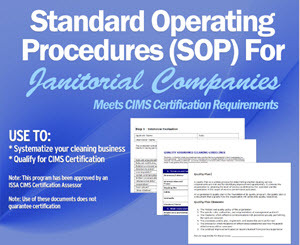 For a cleaning service, this means making every effort to meet client expectations. Our reputation matters to us, and we strive to deliver the best possible quality of service in every job we do. Contact us today to learn more about More Reviews Now to help you get started managing your online reputation today!